Hey all, New member here currently staying in South Jersey, spend most of the time between here and Vermont. Just bought our first Redwood Sequoia 38GKS and take delivery in about a month. Super excited and ready to get out of our current little Starcraft 23' Travel Trailer! Just saying hello! Congratulations on getting your Redwood. You are going to love t. Welcome here with us. Congratulations on your new rig. I think you will like the group. Lots of help if you need it. Congratulations and welcome. Do yourself a huge favor and perform a thorough PDI before you drive it off your dealers lot. PM me and I'll send you the list I used. It's a bit of a process and could take 4-6 hours, but well worth the effort. Please excuse the intrusion but what is a PDI?? Thank you!! We're on the look out for a 5th wheeler for the first time ever, so a bit unsure of what to look for... All I know is that I love the light coloured interior and great features of the Redwood!! Thank you! PM Sent your way! 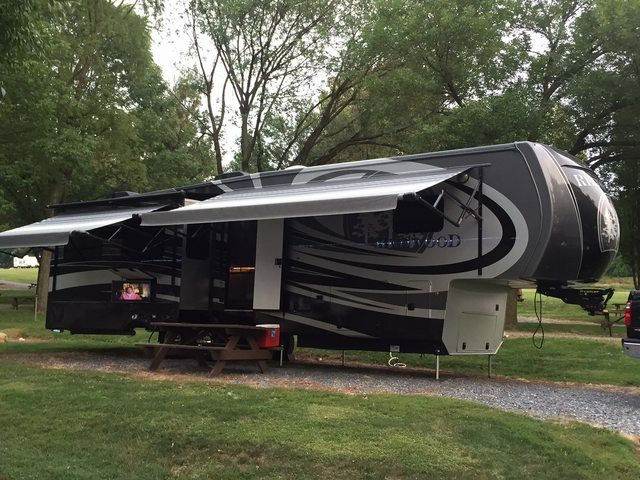 Thanks Joe, No we didn't get it from white horse though it would have been our #1 choice (we got our current camper from them and they have been amazing)... Stoltzfus in West Chester, PA had exactly what we wanted in stock and sold it to us for the price we wanted.